At Furumoto Dentistry, we strive to provide world-class dental treatment to patients throughout Diamond Bar, CA and the surrounding areas. Our mission is to serve as a resource for comprehensive dental health, and we offer a wide range of preventive, restorative, and cosmetic dental treatments tto our patients. In addition to caring for the health of your teeth, we can help you achieve a better smile by treating alignment problems through orthodontics – and Invisalign is a powerful, convenient solution for orthodontic treatment. When most people think of orthodontic treatment, they picture traditional metal braces – and that makes sense. Braces are still the most common form of orthodontic treatment, and they offer a reliable, cost-effective solution. But today, braces are not the only option, and Invisalign is a popular & fast-growing alternative. 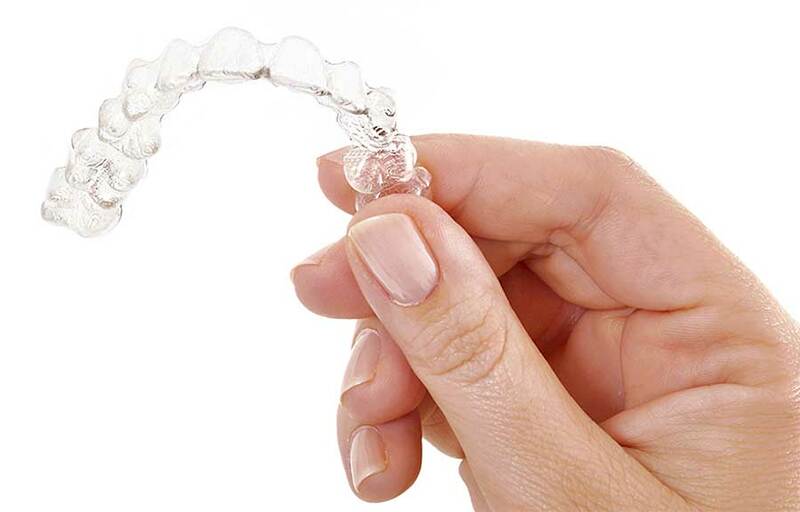 Invisalign uses a fundamentally different method to move the teeth. 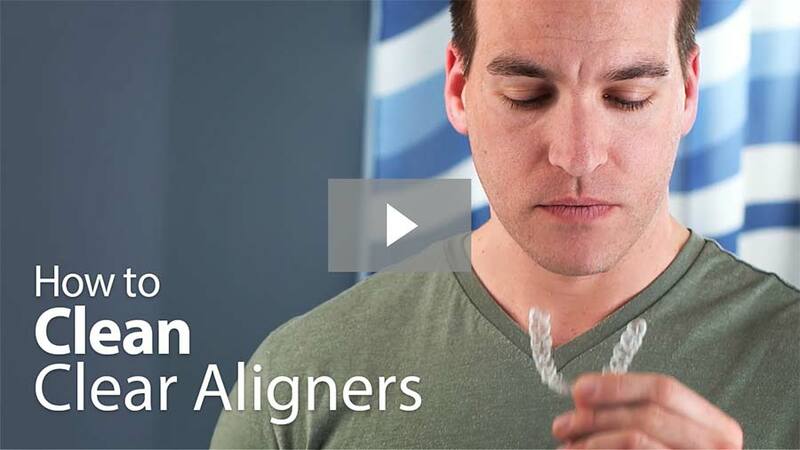 While braces rely on a series of metal brackets mounted to the teeth and a thin, springy archwire running through them, Invisalign uses a series of clear, removable plastic trays, called aligners, to move teeth. Invisalign aligners are nearly invisible when worn and can be taken in and out quickly, providing a highly convenient form of treatment. Virtually Invisible: Because the aligners are clear and lay flat against the teeth, they are nearly impossible to see when worn. No Dietary Restrictions: Patients remove aligners to eat, so Invisalign does not require the dietary restrictions that braces do. Easy Oral Hygiene: With Invisalign, you will not have to worry about things like floss threaders – just remove the aligners and brush and floss normally. Added Protection: For patients suffering from bruxism (teeth grinding), Invisalign offers a layer of protection for teeth. First, your Diamond Bar dentist will perform a comprehensive oral exam. This will allow us to diagnose any orthodontic conditions and create a model of your bite. Using the diagnostic information, your cosmetic dentist will construct a detailed treatment plan to help you achieve a new smile, breaking that plan into two-week increments. We'll have your Invisalign aligners manufactured to fit your mouth based on this plan. Most patients need between 12 and 48 sets of aligners. You'll wear each pair of aligners for two weeks, 22 hours a day before moving to the next set. With each new set, your teeth move closer to their final alignment. Once you finish your treatment, you'll get to enjoy a beautiful new smile! Eruption Tabs: We can create aligners with eruption tabs, which hold space open for teeth that have yet to grow in fully. Compliance Indicators: Invisalign Teen aligners come with built-in Blue Dot Wear Indicators, which tell us if the aligners are being worn long enough or if the patient needs to be a little more diligent. During treatment, it is vital that you take great care of both your aligners and your teeth. Brush your teeth every time you eat a meal or snack, and brush your aligners anytime you take them out or put them back in. Periodically, you may want to soak your aligners in a glass of water with a denture-cleaning tab to ensure they stay fresh. And most of all, remember to wear your aligners for as much time as directed. Consistent use is the only way to achieve a successful treatment. Invisalign is a convenient, effective way to achieve a new smile discreetly, and if you would like to find out if Invisalign is right for you, we would love to help. Contact us today today to learn more about Invisalign and schedule a consultation. We will work with you to design a comprehensive treatment plan and start you on the path to a gorgeous new smile!